Genetic birth defects; mental retardation, health problems, characteristic physical features. Some cells have extra chromosome. Nasal bridge is the flat area between the nose and eyes. Second trimester triple screen: This blood test measures hormone and protein levels along with estriol, a hormone made by the mother and the unborn baby. Second trimester quad screen. looks at another hormone made by the placenta called inhibin-A. Cell-free DNA (cfDNA) finds small fragments of fetal DNA floating in the mother’s blood and tests them. It can be done after 10 weeks of pregnancy. Amniocentesis: done between weeks 14 and 18. Chorionic villus sampling: done between 9 and 11 weeks. This test takes a sample from the placenta. Percutaneous umbilical blood sampling (PUBS): at least 18 weeks. This test takes a sample of the baby’s blood from the umbilical cord. It is the most accurate of the three tests. 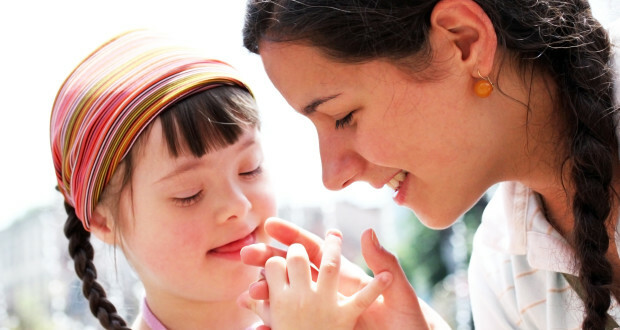 Although there’s no cure for Down Syndrome, children and adults with this condition may still have productive and content lives. Basic skills may be taught and learned.